After coming under attack for appearing in a music video to promote river conservation, Maharashtra chief minister Devendra Fadnavis defended himself by saying that there was nothing wrong in appearing in the video as it was for a public cause. 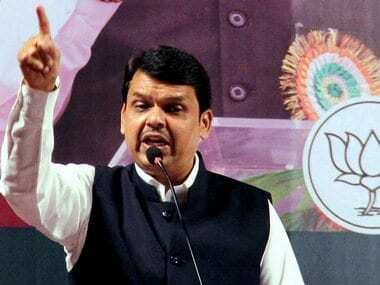 Speaking to The Times of India, Fadnavis said, "I am surprised over the vilification campaign. A leading organisation had drafted a campaign for conservation of rivers in Mumbai. They approached me for issuing an appeal to the people. Since it was for a public cause, I agreed to it." He called the Opposition's criticism "unfortunate and uncalled for". The video, titled Mumbai River Anthem, has gone viral on social media after being uploaded on YouTube. It shows the chief minister's wife Amruta Fadnavis singing and swaying to the music. She is then joined by Devendra Fadnavis lip-syncing to the song sung by playback singer Sonu Nigam. It also features Mumbai civic commissioner Ajoy Mehta, police commissioner Datta Padsalgikar and state forest minister Sudhir Mungantiwar. The city's famed dabbawallas and fisherfolk community also make an appearance in the video. Meanwhile, as the video went viral, the chief minister's office clarified in a statement that the government had not produced it. "River March is an NGO which came up with a proposal for creating public awareness to clean up the rivers. It was their idea, and they bore the expenses. It was made clear that the video will not be used for commercial purposes," the CMO statement said. Fadnavis' comments come after the Opposition took digs at the government over the issue in the state Assembly. Speaking during a discussion on Governor's address, Leader of Opposition Radhakrishna Vikhe-Patil of the Congress said, "I wonder whether these are ministers or band members. I saw one viral video clip on river conservation. I was happy to see our CM in it....Now change the name from Bharatiya Janata Party to Banjo Party." The Congress leader said he was, however, "pained" to see that Shiv Sena, BJP's ally, was absent from the video. BJP MLA Sanjay Kute objected to his comment. "One shouldn't disparage the social commitment shown by the CM. He has been doing social service, it's nothing to joke about," said Kute. 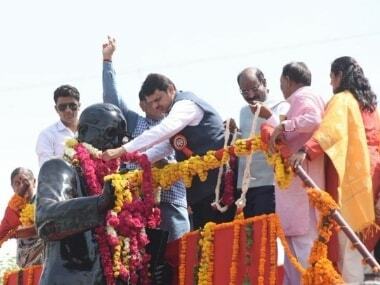 Revenue minister Chandrakant Patil too asked the Leader of Opposition not to ridicule the chief minister. Vikhe Patil denied that he had said anything personal against Fadnavis or his wife. "If some comments have hurt your feelings, then I apologise. But I said out of care for my friend (finance minister) Sudhir Mungantiwar who is going to present the Budget. 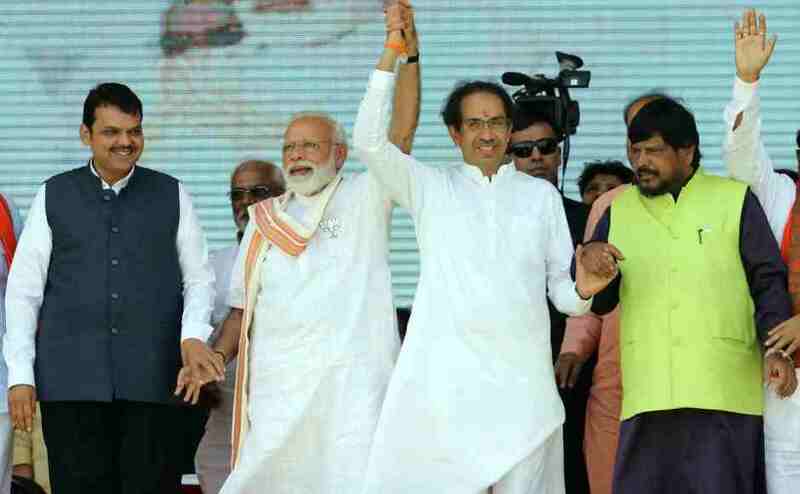 Thankfully he didn't hurt himself in the shooting (of the video) where he is seen standing on a tall rock," Vikhe Patil said, taking another jibe. The Maharashtra Navnirman Sena also slammed the video, saying that it exposed the government's double standards on environmental causes. "Why did the chief minister not remember Mumbai's rivers while he took the decision to legalise illegal slums along the rivers if the huts were constructed before 2011? It shows his double standards," MNS leader Nitin Sardesai was quoted as saying by The Indian Express. 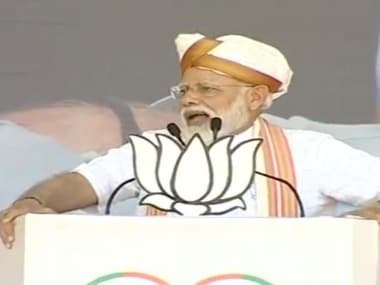 The Nationalist Congress Party (NCP) too has strongly objected to the song, saying that it is an insult to the status of such senior officials. 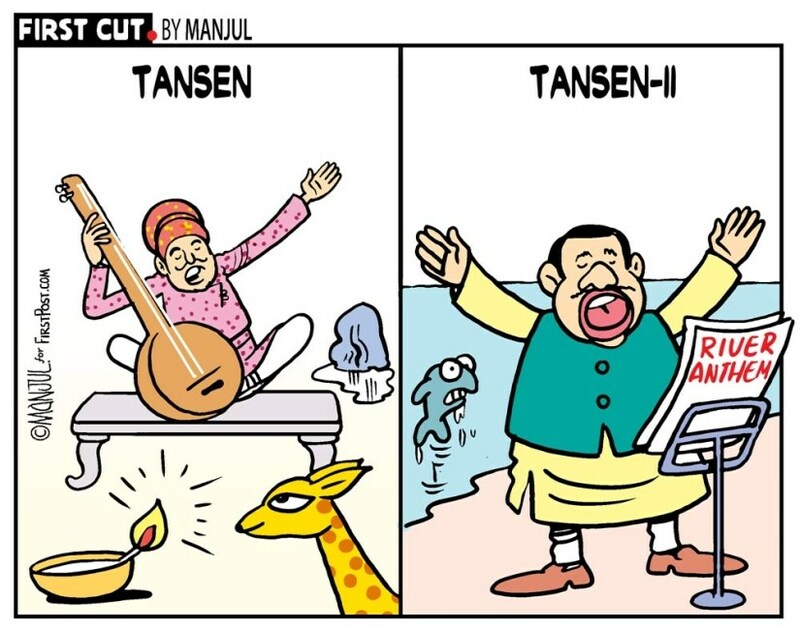 A report in India Today quoted NCP leader Jitendra Awhad as saying, "I have nothing against the chief minister singing, but the way a police commissioner and municipal commissioner are made to stand like a chorus is an insult to them and to the institutions which they represent."